Today was the last day of school. I am officially and completely done for the year. All done with classes, all done with exam weeks, all done with final reports and cleaning out my room and all the other end of the year business I had to do. My first year of teaching is in the books. Today is also the first day of summer. Not just of my summer break, but of the actual summer season according to the calendar. I am very thankful for this teaching job, but I’m also thankful for the summer break that is ahead of me. Teaching is tough while you’re in the middle of it, but rewarding as well. And believe me, I know what a good gig it is… I mean, to get summer vacation as an adult? Now that is an uncommon treat that I certainly won’t take it for granted! Happy Friday and happy 1st day of summer to everyone! So I had this dream the other night. Actually, it probably qualifies for nightmare status even though I find it pretty hilarious now. At the time, as in during the midst of the dream, it was definitely nightmare-ish! Today was the last day of school. Well, the last day of classes… I’ll still be there until next Friday as we have Regents exams going on. But the past weeks have been even more hectic than usual, especially trying to help a few specific students pull everything together at the last minute so they don’t fail and/or are able to graduate. I first realized that I was thinking/worrying about my students too much when I woke up at 3am wondering if one of my seniors was going to get his project done for his government class so that he can pass the course and graduate. 3am and this is what is going through my mind? That’s gotta be bad! I was up in the Adirondacks with my family, ready for our summer camping trip. I was stopped at some restaurant or store kind of place outside the campground because one of my students needed me to tutor him. I spent all this time tutoring and was finally ready to head to the campground when he said that he was coming camping with us. I was so upset because I had been looking forward to this relaxing time! This was my summer vacation! This was my chance to get away from it all! How could he infringe on our family time together? But then his counselor appeared and said that this would be a really good learning experience for him and that I needed to bring him along. Oh yeah, and not to mention he then went on to tell me that he had no supplies… no tent, sleeping bag, boots, anything… and I had to buy it all for him! I cannot express how relieved I was to wake up from that one! Needless to say, you know it’s time for summer vacation when you start having nightmares about your students tagging along on your family camping trips! … of actual class days in the school year. Not that anyone is counting or anything! Then it’s 2 weeks of finals which I am, in all honesty, looking forward to very much. Those weeks mean a couple proctoring assignments and a bunch of quiet days in my classroom to sort, organize, clean, and prep for next year. This past week was a rough one that seemed to last forever. I sure am thankful to have the long weekend ahead of me to relax and re-group. Special ed is certainly a whole different experience than teaching biology. Obviously the students have unique needs academically, but I have found, personally, that the social/emotional needs are the more difficult part. Lately I’ve been dealing with some challenging situations on that side of things… on top of trying to help everyone prepare for finals and finish off the end of the year requirements. It’s pretty exhausting! Don’t get me wrong, I’m still very thankful for this job and I know teaching is my career niche (sorry, had to throw the bio term in there!). God provided this for me when I needed it, I have no doubt about that. But that countdown that says 10 days on my classroom wall? The kids think it’s for them… it’s really for me! I felt so rested and refreshed after break. Only 4 days back and I feel like I never left! My days are busy and full and my thoughts are scattered. There’s something about a bunch of kids asking questions about 12 different subjects that really leaves your mind feeling like mush at the end of the day! But I still love it, so I can’t complain. 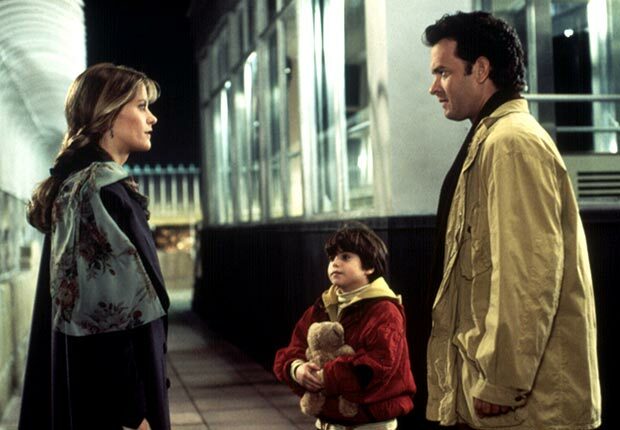 Needless to say, tonight I’m giving my brain a break… and watching Sleepless in Seattle. It puts a smile on my face. Wow, how young Tom Hanks looks! I know that feeling. And I’m thankful I don’t have to remind myself anymore. It was a long and busy week. I’m glad it’s Friday. Midterms started and my freshmen ranged in emotion from panic to overconfidence as they approached their first exam. I posted a sign on the door to enter quietly because testing was in progress and we spent the day whispering. There was lots of re-reading the directions and encouragement to do your best. In the end I think I made a bigger deal of the test than they did. The semester is drawing to a close and my seniors with half-year courses had research projects to finish. Books and articles to read, papers to write, presentations to give. There was major procrastination and I sat there, reading over their shoulders, editing, and trying to spark some sense of urgency to finish it all in time. I told them that I go to sleep every night with a list of all the work they need to do running through my head, and they laughed because I definitely make a bigger deal of their projects than they do. I had parent meetings and IEP’s to write. Paperwork and organizing and emailing and trying to keep everyone and everything on track all at the same time. And I had paper cuts. Two of them, one on each hand. I hate those little things. Like I said, I’m glad it’s Friday. Truth is, it wasn’t a bad week. It was an exhausting week, but I left today feeling (for the most part) successful. When people ask me how I like my new(ish) teaching job, I often say that there are pros and cons. I miss teaching biology since it is near and dear to my heart. And I miss being able to plan and teach full lessons. But I like the small group setting in the resource room and the ability it gives me to really connect to the students more personally. It’s hard to balance everything with my students… keeping track of all that they have going on and all that they might need. It’s tough to have those days when I feel like I’ve put so much more effort into their success than they have. It’s hard to find ways to inspire and motivate. But when it works? Well, that’s a pretty good feeling, even if it doesn’t happen every day! I doubt they realize how much I care about them. I’m sure they sometimes see me as annoying… bugging them to finish their work, hovering over their shoulder to make sure they stay on task. But I so want to see them succeed. I want them to have as much desire and motivation as I have for them. I want them to take responsibility for their work, for their actions, for their future. I want them to be proud of what they accomplish. Maybe they will, and maybe they won’t. They have to make the choice. They have to make the effort. But I hope to inspire and encourage them as best I can… through midterms and projects and paper cuts and whatever else may come! I’m thankful for my teaching job. I didn’t originally expect to be teaching full time this year. And if you asked me in the past, I would have told you I didn’t picture myself teaching special ed. Well, life isn’t as expected. But in the midst of an upheaval of all my plans, this opportunity came along, and I’m thankful for that. I hope I’m making a difference in my students lives for the better… I sure would be thankful for that too! I’m thankful for days off! Days like today… one of the perks of being a teacher! I like my job, but adding an extra day to the weekend is a nice treat. Steve took the day off today too which made it extra nice. It’s amazing how much you can get done with an additional day at home! So what was checked off the list today? Mowing/weed-whacking the yard, grocery shopping, a hike with Jackson, putting the Christmas lights up outside (don’t worry, we won’t light them until after Thanksgiving), and painting some trim downstairs. Thankful for the time to tackle some extra projects at home and to just spend being together.